Dental implants work like real tooth roots. They are strong anchors that can support a single tooth crown or anchor multiple teeth. A crown is the part of the tooth above the gum line. With dental implants, you have some of the same restorative options as you have with natural teeth. You can get a single tooth, a bridge, fixed dentures or removable dentures. An abutment is the connector from the implant to the replacement teeth on top of the implant. It must be placed on top of the dental implant so teeth can be anchored to the implant. The abutment screws into the dental implant and acts like the tooth under a crown of natural tooth, except it’s stronger and is not susceptible to decay. Dr. Broggi can screw or cement the abutment in place, depending on your specific needs. 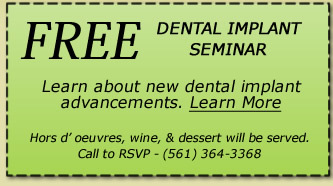 Click here to learn more about single tooth restorations with dental implants. Click here to learn more about multiple teeth replacement with dental implants.